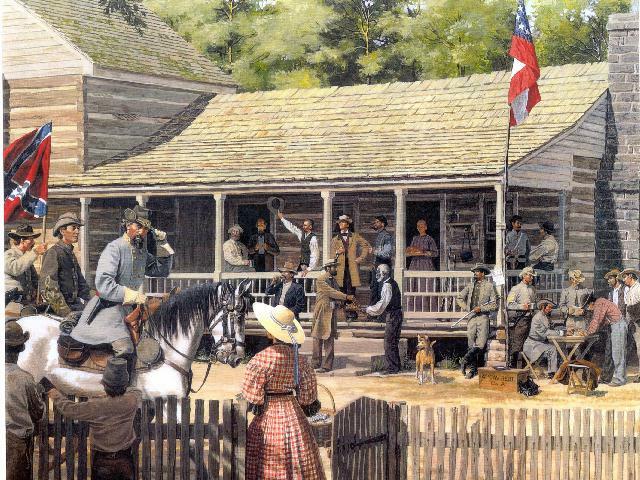 Forrest painting by renowned Civil War artist David Wright. This is a limited edition print, autographed, signed & numbered by the artist. Issue Price: $150.00, shipping & handling $17.00. Check, money order, or credit card; payable to "Southern Cross Chapter 2578" Mailed flat UPS, in protective cover inside double cardboard flat shipping box. Makes a great collectors print or Christmas gift. All proceeds go towards restoration of the Forrest Boyhood Home.